Labeley is a really nice service for those who want to design and download labels for free. 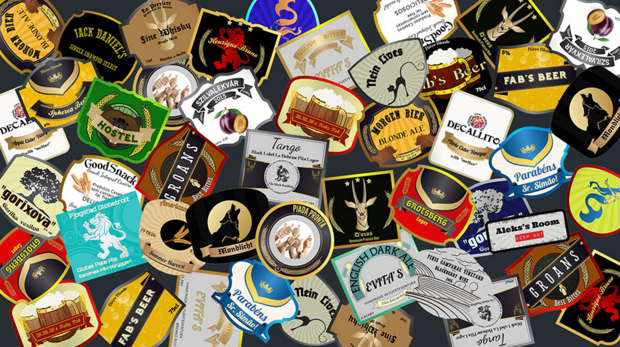 You can create labels for your children, beer and wine labels, seasonal labels and all sorts of other labels. And pretty much everyone else looking for a creative solution for their labeling needs. Let’s see, for example, how easy it is design completely personalized champagne or wine labels for your wedding reception. Then customize all the other important elements of your labels by choosing among myriad of pre-designed elements such as: borders, backgrounds, professionally designed graphics or even uploading your own photos and images to the tool (for example, a photo of you and your significant other is the most ultimate way to customize your wedding bottle labels). Having taken care of the graphics, round up your wine label with a message or other text. There is a huge selection of fonts that you can further personalize by adjusting the style, weight and color. Play with the color picker to make sure that the color of your text communicates your message in the best possible manner. When you’re sure that your wedding wine label looks exactly as you imagined it, click the button Save label which you can find in the upper right corner of your screen. Now you can download your label to your computer and print it on your home printer or anywhere you want. Note that Labeley does not even prompt you to share your email address or any other personal detail in order to design, save and download your labels. But if you think that you may want to repurpose your design at some point in the future by slightly modifying it, go ahead and create a free Labeley user account where you can save all the designs you make with the tool.